Heat always flows towards the cold. Therefore, window glass without a low-e coating will absorb the heat from your home and radiate it onto the colder outside surface, where it is lost. Low-e glass has a special coating which is a poor radiator of heat and does not allow heat to be transferred to the outside. Instead, the low-e coating actually reflects the heat back into your room. ome of the energy is absorbed by the glass as it passes through. The absorbed energy heats the glass. The energy that has entered the living space is also absorbed by the items in the room such as furniture and carpets. These items also get warmed by the energy. Warm items re-radiate the energy and this includes fires and radiators within the room as well as the warmed furniture. This re-radiated energy is no longer short wave radiation so the energy now travels back towards the low-e window as long wave radiation. The low-e glass does not let the longer wavelength radiation emit from the coated low-e surface and is an effective reflector. The energy that has entered the room and the heat energy that was already present is reflected back from the low-e glass. Even the glass that was heated by the energy passing through it emits long wave energy and it can send it in two directions. Some is sent back out into the atmosphere and some to the inside of the building. The result is a neutral appearance glass that lets energy in and helps prevent heat getting out. By placing low-e glass into a double or triple glazed unit, the individual glass pane temperatures change. 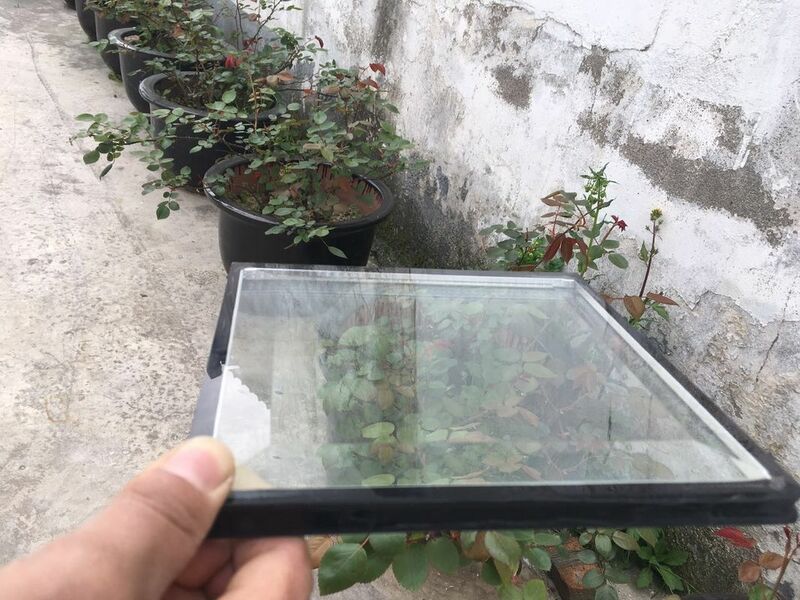 As more heat is retained, the outer pane of glass is not heated as much by escaping energy and the inner pane is keeping more heat in and becomes warmer. This has two effects. There are less cold draughts from convection near the windows and the risk of condensation on the glass is reduced. In this way, low-e glazing not only prevents heat loss, but also encourages warmth during the colder months of the year. The rate at which glass transmits heat out of the building is measured by the U-value. U-value is measured in W/m2K (Watts per square metre per Kelvin temperature difference). The larger the figure, the greater the heat loss. 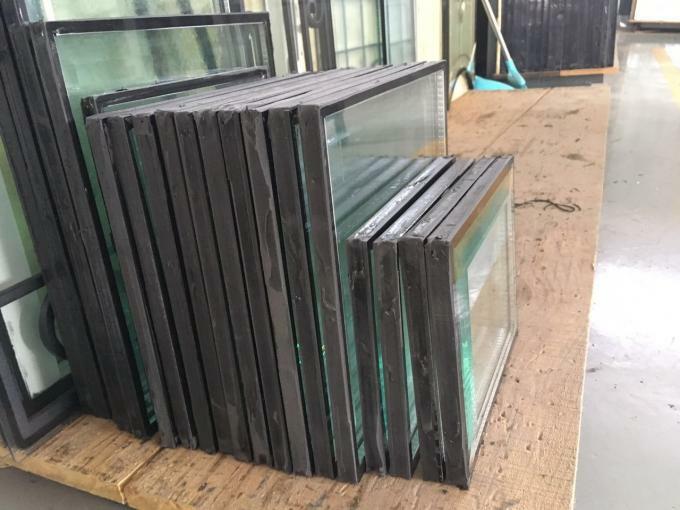 If you have a house that has 20m2 of glass and its U-value is 5.8 (single glazing) and it is 10 degrees colder outside than inside then you will be losing 1160 Watts (=5.8 X 20 X 10). This is a rate of loss greater than one bar on an electric fire. By replacing the glass with a low-e product the U-value might become 1.5 so you are now only losing 300 Watts (almost a quarter of the heat loss). Improved window seals and draft proofing will also improve the overall insulation properties of the window saving even more energy. The other aspect of energy efficiency is the ability of the glass to transmit heat. The U-value of the property and the rate at which heat is allowed into the building is a more thorough evaluation of the effectiveness of the glass. The total transmittance of the glass (or more correctly the total solar heat transmittance or g-value) is the value given to the glass. The higher the figure the better for gaining heat which is the objective in most domestic situations. 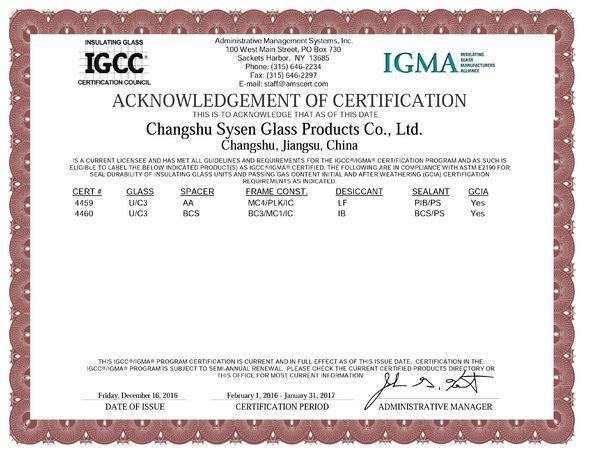 Low-e glass types can be compared using the U-value and the g-value. Another measure that is used for comparing low-e glass types is the shading coefficient. Shading coefficients compare the solar heat transmittance properties of the glass by short and long wavelengths. The proportion of energy that each glass allows through is compared back to a standardised thin piece of clear glass with known properties. Shading coefficients are given for the short wave energy, long wave energy and the two combined into the total shading coefficient. A glass with a relatively high long wave shading coefficient will have absorbed a lot of energy and be re-radiating it into the building. It is likely to be a coloured, highly absorbing glass. This information is of particular interest to architects and also heating and ventilation engineers, as they can calculate the heating and cooling loads for a building when they know how much energy will either come through or escape from a building.